What’s new, you ask? Oh, I don’t know, maybe just a little something like… THIS!!!!!! 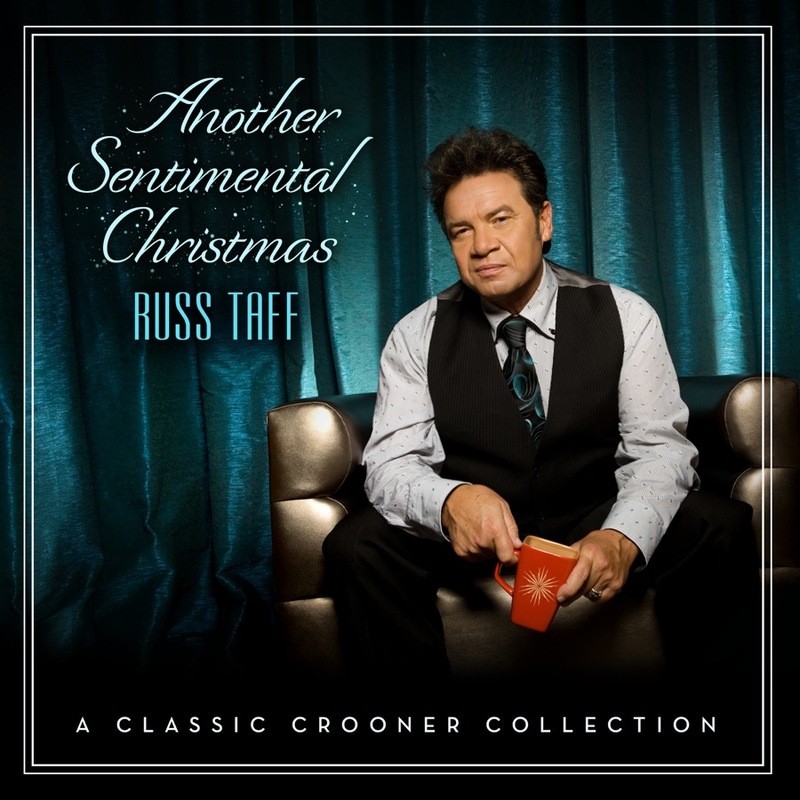 Five-time GRAMMY® Award winner and legendary recording artist Russ Taff has just released a new, long-awaited Christmas recording, Another Sentimental Christmas (A Classic Crooner Collection), available today everywhere music is sold. The Spring Hill Music Group release marks the second Christmas collection from Taff, who showcases the vocal power and musical style that have made his debut Christmas album a staple in the collections of countless fans for over a decade. Another Sentimental Christmas, produced and arranged by James Hollihan, contains such Christmas classics as “The Christmas Song,” “Christmas Time Is Here,” “Jingle Bells,” “Winter Wonderland” and “Silent Night” in addition to the favorite “Count Your Blessings (Instead of Sheep),” penned by Irving Berlin for the 1954 movieWhite Christmas and made popular by Rosemary Clooney and Bing Crosby among others. The release includes Taff’s emotional rendition of “Peace,” a song released by Michael McDonald and written by McDonald along with Beth Nielsen Chapman, and also the well-known “Christ Is Born,” written by Domenico Bartolucci and Ray Charles. The release is stylistically reminiscent of recordings by balladeers such as Tony Bennett and Frank Sinatra with its lush orchestration and big band influences. “Ever since I released my first Christmas album years ago, I’ve wanted to record another one,” described Taff, “and this felt like the right time to do it. James (Hollihan) and I have been making music together since high school, and he knows my voice better than anyone else—somehow he has a way of always getting the best vocal performances out of me! We had a ball framing some of my favorite Christmas songs, creating something that has that same fat, big-band feel that people seemed to love so much about my first Christmas album. A multiple GMA DOVE Award winner and GMA Hall of Fame inductee, Taff has been described by Billboard Magazine as “the single most electrifying voice in Christian music.” Currently traveling over 100 dates annually, his musical journey has garnered fans across multiple genres including pop rock, southern Gospel, country and rhythm and blues. A regular on the Gaither HOMECOMING videos and arena tours, Taff has released nine solo recordings in addition to others made during his tenure with groups such as The Imperials and The Gaither Vocal Band. Another Sentimental Christmas, available now online and at retailers everywhere, is distributed by EMI CMG Distribution. Taff will be performing on this year’s Gaither HOMECOMING Christmas arena tour. For further information, visitwww.russtaff.com. For further inquiries regarding Another Sentimental Christmas or for artist interviews, please contact cwinstead@springhillmusic.com. YAYYYYYYYYYY!!!! This is great news!!! How exciting! How does this affect the Taff household? Is everyone kind of nervous about how it will be received? Will people in “the business” be critiquing it? (I hope they aren’t snarky! They BETTER not be snarky! We’ll get ‘em!) Do the kids even notice? (Or are they busy texting?) Do you dare to mention “Grammy”, or is that bad luck? Do you play it nonstop? Tell us what goes on in your house when Dad comes out with a new album? You tell us everything else! Why not? We would enjoy knowing about it! Does Russ give Madi and Char one of the first ones off the press and autograph it for them for a keepsake? I hope Santa doesn’t quibble about the whole naughty & nice thing…I want that new CD in my Christmas stocking!! I don’t know what happened (rotflol)…I guess I was so excited and hit the keys too hard, but I posted before I meant to….because I am not finished talking about that new Christmas cd yet, for goodness sake. I love the mixture of old and new songs…..and I must tell you that “Peace” was written just for Russ. Well, okay if it wasn’t it should have been. I laughed with Russ all the way through “Jingle Bells.” You could tell he was having fun recording that song. And “Silent Night” touched my soul. Okay, I really liked all of the songs. I’m like the one who has been waiting so many years for a new Christmas cde from Russ….and, boy, was it worth waiting for!!! So excited!!! I can’t wait to get it. Please tell me Russ sings to you on a regular basis!!! Wouldn’t Betty absolutely LOVE THIS!!!! I’m frustrated! I orderd this very CD in advance and now they tell me I have to wait another week for it! At least I hope that is good news for Russ – his CD is definitely in demand. Linda, had Betty been in Myrtle Beach this weekend, there would have been a six-foot sign on Russ table, advertising the Christmas cd of the year….along with a cd player playing his new cd, turned up full blast. She never did do anything half-way. I have listened to this cd, the last 3 mornings driving to work, I guess I should listen to some of the other cd’s I got in MB, but this one just will not eject from my player (hahaha). INCREDIBLY GOOD, WELL DONE RUSS! ps….make sure to see the picture on the inside cover to the cd. One of my favorite of all time. “A Christmas Song” by Russ Taff has long been one of my favorite Christmas albums. After seeing Tori’s tweet yesterday, I checked out the Gaither store and ordered the album. Before doing so, though, I read the (very nice) write-up about the album on the site. It says that, among other wonderful songs, Russ sings “Jungle Bells.” (Truly, it does say that.) Hmm…[I thought]…did Russ put a new twist on a Christmas classic because he thinks his fans all have a “wild life”?…or maybe he thinks we all live in a zoo (or act like we do)…or that we we’re all animals (interpret as you wish). After reading the press release here, and the comments, it appears that the song Russ actually sings on the album is most certainly “Jingle Bells.” I’m not sure whether I should be disappointed or not. If Russ had fun singing “Jingle Bells,” can you imagine what fun he could have had with “Jungle Bells”? guess what, johnny????? I AM COMING FROM MY NEW PHONE!!!!! So…..so excited bout this cd…..hope to get it next week. been busy with1st gradrz & grababy! 1. Well, mostly it just made for a very busy day because we were on the phone a lot, and editing the press release, and trying to get the website store working, blah blah blah. 2. Not really nervous about it– I guess because we’ve been through this so many times and also, it really IS a great project! 3. Yeah, it will be reviewed here and there, but Russ has traditionally had really good experiences with reviews. And yes, if someone acts like a jerk we will definitely sic the Bloomr Nation on them. 4. The girls are mildly interested but very encouraging- I think they’re proud of him! 5. Christmas records are rarely ever nominated for Grammys. 6. Russ never plays his own cd’s around the house, but the rest of us listen to it! 7. We are all pretty tickled that it’s finally out, and that it came out so well. We all toasted Russ at dinner! 8. We always tuck one of each of his releases away for them for the future, but I think they end up downloading their favorite songs to their ipods. Momma Lloyd– I’m SO glad you finally got yours! And I agree, “Peace” is my favorite song, it suits him so well. Nova Scotia Mama–I think Santa will see it your way. mariajhmom– People ask me that all the time! No, he really doesn’t sing much around the house, unless he is horsing around with the girls and acting silly. In fact, I don’t really know many artists at all that sing at home– or to their wives! LindaB– I’ve thought that so many times this week. delightedabroad– Oh man, I’m sorry you have to wait! Momma Lloyd– You are SO right! Phyllis S– I’m thrilled that you are enjoying it– I’ll tell Russ! Shella– HA!!!! I didn’t catch that at all, that is hilarious– “Jungle Bells” indeed! DELIVEREDJEPARKER63– YAY for the new phone! And BOO for me taking so long! THANKS SO MUCH for answering our questions! Cool! And now the next big question is: What will we do for Grammy party here on da blog? I will begin making cupcakes for it! I love cupcakes…….you can eat two or three “cause they’re small”! If Grammys aren’t awarded for Christmas songs, then we may have to wait until Russ next cd comes out after the first of the year…..that is, unless we change the rules with this Christmas one. It sure “sounds” like a possability, for goodness sake! Tori said, “Christmas records are RARELY ever nominated…”, but I’m thinkin’ he’ll have the VERY FIRST Grammy for a Christmas album EVER! And we’ll have another party when his second album comes out. What can I say—–I’m a party girl! Sounds like a pman to me, Linda. Where do I sign up to vote?